911uk.com - Porsche Forum : View topic - Can anyone tell me what this means... ? 911uk.com Forum Index > 997 (2004 - 2012) > Can anyone tell me what this means... ? Posted: Fri Jan 25, 2019 6:29 pm Post subject: Can anyone tell me what this means... ? Next to the Amp and Telephone it has the little warning signs, any ideas? I am also confused as the manual says I can set up individual settings, but this option isn’t on the screen. No idea, but I am going to my local OPC tomorrow afternoon and I will show the tech bloke and let you know what he says. Very kind... really appreciate it. 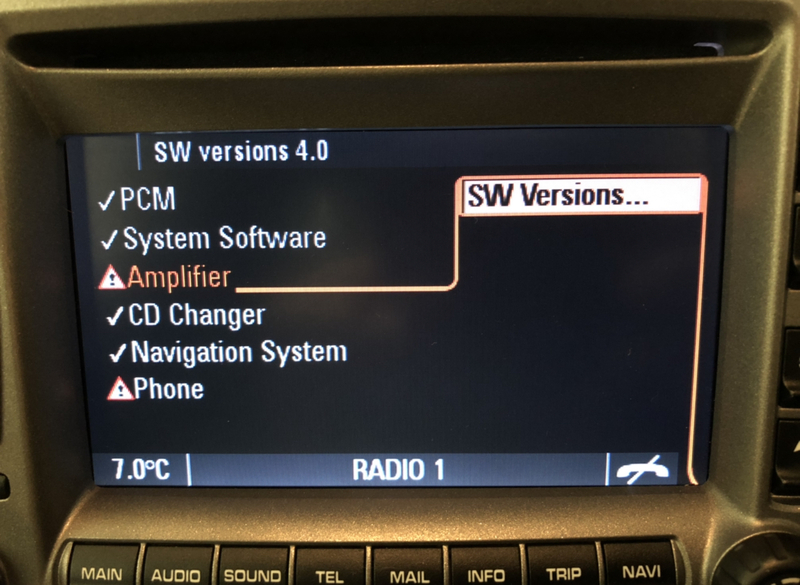 Its been about 6 years since ive needed to look at this but from memory it just means the amp/phone have an older software version than the other items. The amp still works i take it as you havent said anything about no sound and i very much doubt you use the phone so its not something to worry about . and i very much doubt you use the phone so its not something to worry about . Posted: Fri Jan 25, 2019 11:21 pm Post subject: Re: Can anyone tell me what this means... ? I am also confused as the manual says I can set up individual settings, but this option isn’t on the screen.??? Individual settings will only be available if you have sports chrono (I think). You’d have to be bonkers to replace PCM 2.1 with another one! Reminds me that I could do with changing mine at some point!